As I’m writing this update, filmmaker and poet Valentin “The Butcher” Sandoval is sitting across from me cutting up the footage (editing) for the documentary, “Searching for the Plane Wreck at Los Gatos.”The film is a behind-the-scenes look at the research that went into my book, “All They Will Call You.” True to the nature of this whole project, the documentary itself has been a collective undertaking. Videographers include everyone from myself, to Missouri resident Ken Leija, the young videographer Sandy Cano from Guanajuato (who traveled with me throughout central Mexico), at times my own mother Lydia Z. Hernandez took footage with her iPhone, and Fresno based musician Dayanna Sevilla even got some footage for us. Most recently, Valentin has taken some excellent footage of various locales and interviews, including our recent trip to Rough Rock, Arizona. While in Mexico I had traveled around with a driver named Armando Sierra Razo, and of course, my brother in spirit, Guillermo Ramirez (grandson and nephew of two of the passengers). 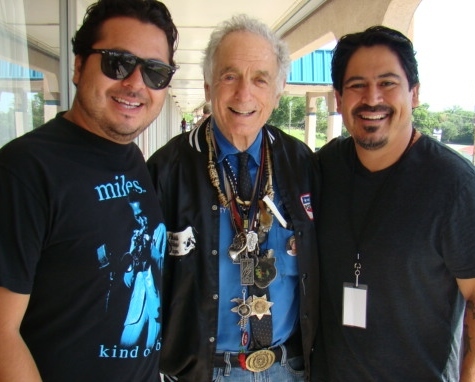 And then back in 2013, musician Lance Canales and Carlos Rascon of the Fresno Diocese were instrumental in helping me raise money to install the memorial headstone. Too, the amazing team at the University of Arizona Press has been critical, and well….I could go on and on, but the long story short is that it’s taken a whole lotta kind hearted people to make every aspect of this project happen, and I believe the world is better for it. I can’t believe it’s all finally coming to fruition, and I can’t wait to share these beautiful and heart-breaking stories with you all! For now, we’ll be releasing a series of book trailers that feature portions of the documentary between now and the book’s release, January 28, 2017. An important and moving book, exploring the theme of identity and loss and disenfranchisement — topics that have never been more urgent than they are now. Hernandez has illuminated the present with this original and riveting examination of the past. Great news. As I write this, the manuscript, which is the culmination of all my research since 2010, is in negotiations for publication. In the meantime, because I’ve been asked on numerous occasions about how this all took shape, I’m posting a timeline of how my research, the headstone, the new version of the song, and documentary have all taken shape. Hopefully this is of some help. Hope to share some good news soon, but in the meantime, enjoy! December 2010: I first saw the newspaper article at the Fresno Public Library, while researching for my previous novel, Mañana Means Heaven. My research began here. January – December 2011: I immersed myself in the research, and though I found a couple of lists of names online, none were accurate. This whole year was spent solely trying to confirm the names of the passengers. During this time is when I discovered that the Mexican passengers were buried in a mass unmarked grave in Fresno’s Holy Cross Cemetery. 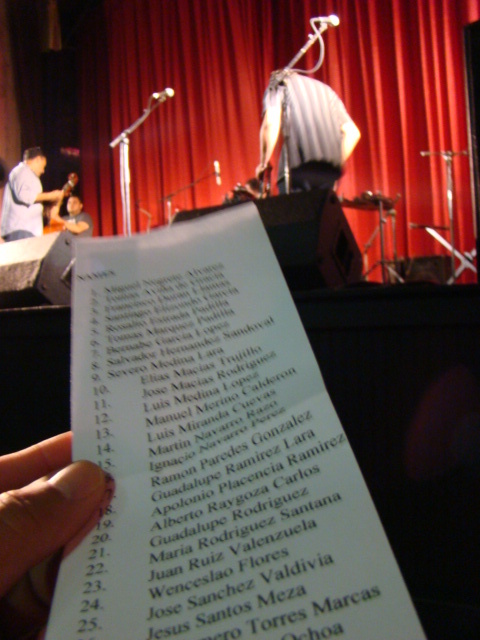 November 2011: I invited musicians Dayanna Sevilla and Lance Canales to perform the song, “Deportees (Plane Wreck at Los Gatos)” with me reading the names at the Steinbeck Festival in Salinas. Dayanna and Lance began exchanging ideas via email for how the song might go. Eventually Dayanna had to cancel the gig and Lance composed his version of the song solo. I continued my research for the names, filing papers with the Freedom of Information Act, and numerous other archival records. Still was unsuccessful. May 2012: Lance and I performed at the Steinbeck Festival, and afterward, while walking the streets of Salinas, we spoke about the idea of installing a headstone memorial with the list of names I had. July 2012: I managed to locate the Gaston family, who owned the crash sight property in 1948 and were eyewitnesses to the crash. I began interviewing them, and they showed me the crash sight for the first time. This meeting was a breakthrough, as I now had first hand accounts of what happened that day. This is when my book began too. This same month, I also located a woman named Diane, who put me in touch with Martin Hoffman’s family, and I began interviewing them immediately. August 2012: Still trying to confirm names, I approached the Fresno Diocese, where I met Carlos, the cemetery director. He admitted to knowing about the mass burial site and incident but didn’t know about the names until I had inquired. I asked if he’d be willing to check the Fresno County Hall of Records. He agreed, and was successful. This became the second list of names, not entirely accurate but another breakthrough. October 2012: I formally submitted a proposal to the Fresno Diocese stating that I would pursue installing a memorial headstone at the gravesite, mentioning it would be with the help of friends, including Lance Canales, Fresno artists, and the Diocese. It was approved. November 2012-February 2013: The Fresno Diocese issued a Press Release and news caught on that I had found the list of names, and that we would be installing a headstone. During this time, Lance recorded his version of the song, and emailed it to me so that I could record the names over the track. We would use the song to raise money for the headstone. organized a concert to raise funds. People from all over the world contributed. March 2013: I took the story of my search to the Fresno bilingual newspaper Vida en el Valle, hoping someone might read it and be related. Juan Esparza was the reporter, and he ran the story. Three weeks after its release, it was successful. April 2013: I was contacted by the Ramirez family, who told me they were descendants of two passengers aboard the flight. I met and interviewed them immediately. That same month I also successfully located the family of the pilot and stewardess. I interviewed them right away. The book was making slow progress. The concert was held, and we raised an initial $4,000 for the headstone. September 2013: We raised $10,000 and installed the headstone in a large public event at Holy Cross Cemetery in Fresno. The Ramirez family was present, and so were the families of the pilot and stewardess, Martin Hoffman, and the eyewitnesses. I organized a caravan trip and took the families to the crash sight for the fist time. We also hosted a public discussion at Ole Frijole restaurant in Fresno. Wide spread media covered the story. October 2013: I met and interviewed Pete Seeger at his home in Beacon, NY. He told me his version of how the song came to be, and I showed him photos of the passengers, and told him some of their stories. He was visibly moved. Our meeting was captured on film by his grandson, Kitama, and I will release some of this footage in the documentary. November 2013 – March 2014: I continued to search for more families, while writing my book. While I found much information on the passengers, it was moving slowly because I was funding everything from my own pocket. Early March 2014: A breakthrough! I found the Sanchez Valdivia family after dozens of phone calls to Zacatecas, Mexico, San Diego, and Tijuana. This was the fifth passenger I managed to locate. I interviewed the family via telephone, but knew I had to meet them in person in Mexico before too long. They sent me photos of their deceased relative. Late March 2014: Another breakthrough! I located the Padilla Marquez family in Stockton, California, after I recited the list of names out loud at a fundraiser breakfast, and made an appeal to the audience. It happened that a friend of the family was in the audience. They knew the story, and put me in touch with the family immediately. This was the sixth passenger I had now found. By noon that day I was at their home interviewing them. My mother was with me, and we documented the conversation on video. May 2014: I traveled to the Navajo nation to camp in Canyon du Chelly with the friends and relatives of Martin Hoffman. This is where he last lived and where his life ended. I interviewed them all, and this was also documented. Sept 2014 – December 2014: I launched a fundraiser crowdsourcing campaign to raise $4000 to travel into Mexico. 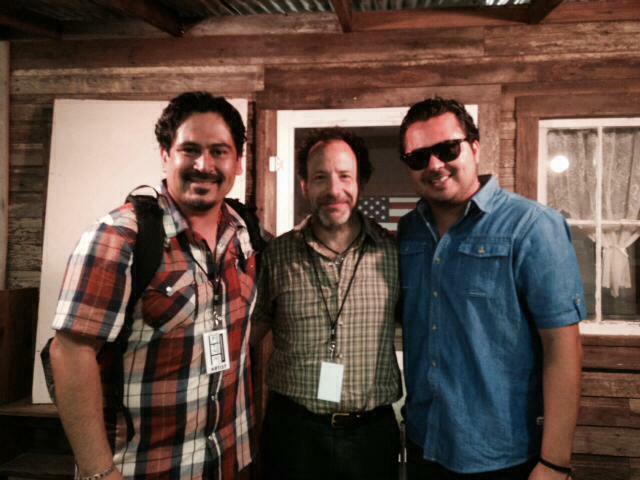 January 2015: I traveled into central Mexico, Jalisco, Guanajuato, Zacatecas, with Guillermo Ramirez, to knock on doors using the information I had accumulated over the past few years. This was the last big push in my research, and it was a long shot. We ended up finding the Miranda Cuevas family in Jalisco. I interviewed them and they gave me photos of their relative. During this trip I also interviewed family members for the other passengers I had already found, but who were living in Mexico. 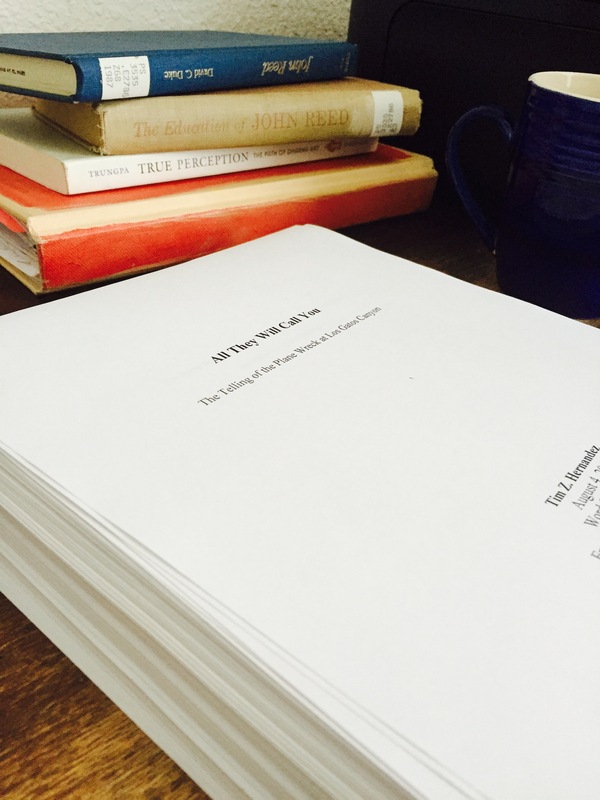 January – December 2015: I continued to search for families, and write my book at the same time. Final Note & Credits: To date I have located 7 of the total 32 reported passengers on the airplane. 90 percent of this endeavor, from 2010 to date, has been funded from my own pocket. While the research itself was a solo effort, it wouldn’t have been possible without the assistance of friends, family members, and strangers. Lastly, all of the events on this timeline have been documented in film, audio, photographs, emails, and the notebooks I kept throughout. My book will be released in Spring 2017. Today at 10:40 a.m. (Pacific Standard Time) marks the 68th Anniversary of the Plane Wreck at Los Gatos Canyon. This time last year, I was sitting in a circle with the families of Guadalupe Ramirez Lara and Ramon Paredes Gonzalez in Charco de Pantoja, Gto to honor their relatives by sharing their stories. This year, I am releasing the teaser for the documentary we have been working on throughout this endeavor (see below). Throughout this whole endeavor I’ve worked to finish the book, All They Will Call You. I’m happy to announce that at long last it is finished!! I am currently seeking a publisher for it, and hope to have some good news for you all within the next couple of months. It is a 300 page account of the plane crash, the individual lives and stories of the passengers, and the aftermath, all told via interviews, documents, photos, and re-enactments. Among all the noise-rhetoric surrounding immigration, my hope is that this book is a breath of fresh air. Since 2010, the goal was to find the correct names of the passengers, and as many of their families as I possibly could to collect their stories, photographs, and records, as well as, to find the true story of how the song itself took flight. In this effort, I’ve traveled across California, Colorado, the Najavo Nation, Jalisco, Zacatecas, Guanajuato, Texas, and upstate New York. I’ve documented hours of interviews on video and audio, and discovered photos, documents, and hand-written letters. In 2013, I worked with my good friend Lance Canales, and the Fresno Diocese, as well as an international community of donors, to raise $14,000 to install a new headstone at Fresno’s Holy Cross Cemetery. We installed it with a big celebration on September 2, 2013. The Gonzalez and Paredes family continue to visit it every Dia de los Muertos to pray, sing, and leave flowers. Visitors from all over the world have been making pilgrimages to the sight. 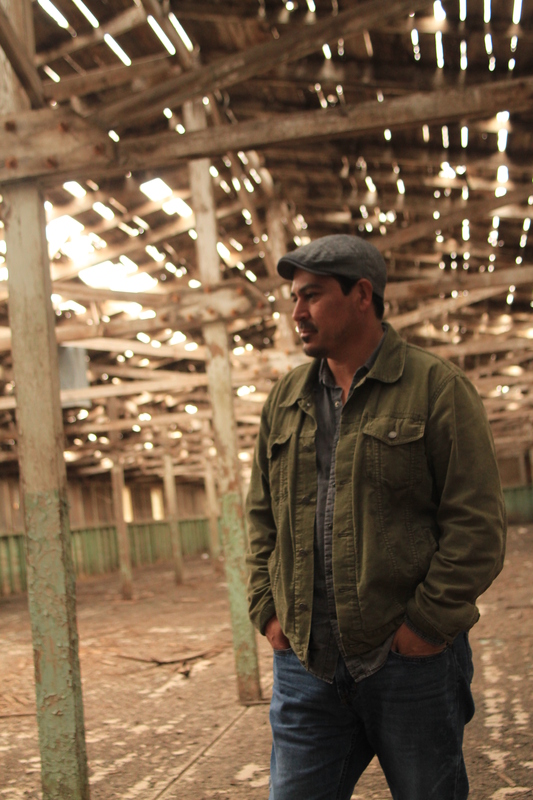 One of the mission’s of this project has always been to share this story with communities everywhere, and to facilitate workshops on the subject of gathering stories. To this end, the story has been told but in academic panels, in live music, print media, and in social media. Also, Lance Canales, Joel Rafael, Carlos Rascon, and communities and musicians everywhere have continued to share the story far and wide. And for this, the families are grateful. Ultimately, the goal has always been to generate a range of multi-media resources on this subject, so that future generations (scholars, teachers, students, and historians) have access to this research from any part of the world. Both the Woody Guthrie Center in Tulsa, Oklahoma, as well as the National Library of Congress Folklife Center have expressed interest. While I’m still weighing the options, I’d really like to see this work housed somewhere in California’s central valley, where it all took place. More on this soon. I’m grateful to Professor Dana Walker at the University of Northern Colorado for taking on the effort of turning my research and book into a full blown curriculum for Middle and High School grades. It will include Mexican History, the Bracero Program, American Folk Music, Oral History, and investigative research among primary topics. We’ve just begin this process, so more on this soon. Stay tuned! I’m excited to let you know that it is finished, and it is currently in my agent’s hands. Barring a few more tweaks or touch ups, we should be seeking a publisher for it as of late September. As for my feelings about this book…to be perfectly honest, it has turned out to be nothing like I expected, and yet, everything I’ve been working toward since I began pursuing the arts seriously over 20 years ago. Family and friends who have known me since I was a teen, know that at various times in my life I dedicated myself to different art forms. From H.S. through early College I was pursuing the visual arts/ murals vigorously. Since the mid 90’s, when I was doing Spoken Word and Performance Art, I began collaborating with musicians in jazz, rock, classical, hip-hop, and reggae. In the early 2000’s I worked with the state affiliate for the National Endowment for the Humanities in California, where my job was to travel central California and listen to people’s stories. And in these last 11 years, the trajectory of my written work has included poetry, short fiction, historical fiction, playwriting, and oral history. “All They Will Call You” is a narrative woven of these very elements. Drawn mostly from original recorded testimonies, investigative research, official records, and ephemera, it also includes strong threads of musicology, poetry, historical fiction, and ekphrastic (writing based on a visual element; art or photography). My goal was to make a book that was as close to the multi-media experience of this subject–but in text. No other book I’ve written has allowed me to spread my wings like this one, but also, no other book has been more challenging. I’m equal parts excited and frightened. Which is a good place to be as an artist/ human—a space of total possibility. I look forward to keeping you updated…. -Elena Poniatwoska, Here’s To You, Jesusa! As he bought the plane tickets for Leon, Guanajuato, he remembered this passage from Poniatowska’s book. He often felt this same way, whenever speaking with the descendants of those who died in the plane crash. As they each recalled from memory a Mexico that was unfamiliar to him, he could feel, in his chest, his gut, something rise up, surge even. He was nervous about the trip. Not because of the recent unrest surrounding 43 missing students in Ayotzinapa, or because of the wave of violence that saturated the media, but because he sensed, that over there, somewhere tucked in El Pais de las Siete Luminarias, something new would be born inside him. Perhaps it is the dream of every hyphenated American, removed by three or four generations from the ancestral homeland, to one day return to the source, to witness the origin, and see in the faces of its people one’s own face. Still, the idea that he would be going to Mexico to speak with the families, and in some cases, go looking for them, took some getting used to. He was undecided whether or not taking his recording equipment was a good idea. Often, he felt, being in the present moment with someone, in a place and time that would likely never occur again, allowing the entire body to record memory of the experience was far more effective than capturing it on some device. In the end, he would decide to take the equipment, but perhaps only use it when absolutely necessary. He prepared as much as one could. Jotted down notes in his small pad, things he didn’t want to forget while there. Began making the proper contacts, checking that his passport and papers were in order, and that his map and itinerary were updated. 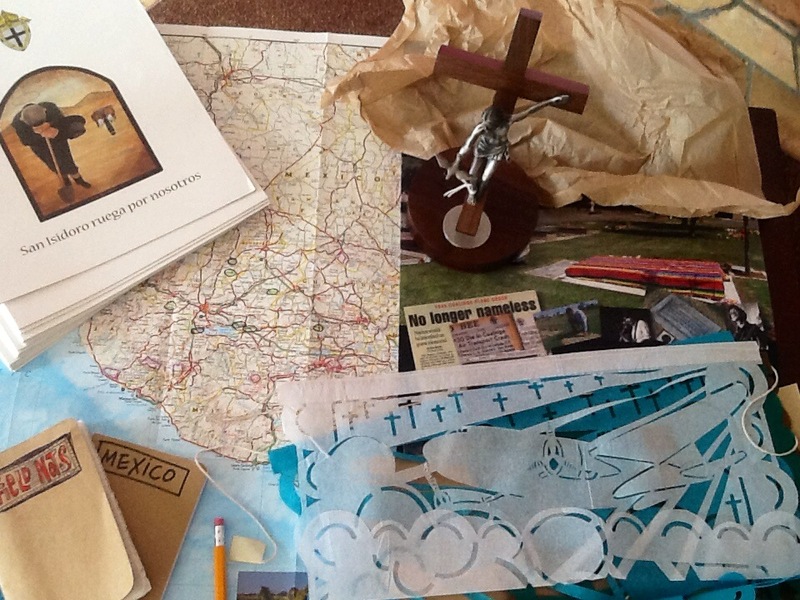 The local Diocese had given him a few items to take to the families on their behalf: a dozen posters and brochure for the headstone memorial, papel picado, and a standing placard of Jesus Christ rising from the cross, arm extended, reaching for a dove. Along with this, he also packed copies of newspapers, photos of the headstone, and all 28 Death Certificates, one for each passenger. These he would return to the families. For those that were expecting him, he looked forward to meeting them and to hearing their stories. For those who were not expecting him, he looked forward to the unknown. Be alive, he reminded himself. Be completely alive, present as present can be. Avoid, at all costs, being removed from the experience. No third person narrative will do. I want to tell you this: I’m grateful for the opportunity that all of your contributions have made possible. As I prepare for the trip to Mexico next month (Jan 18-30), I will be carrying all of your good thoughts, prayers, and genuine sentiments with me. I also plan to enter a brief blog for each day that I am there, permitting I have internet access. If you are interested in reading updates, please consider clicking on the subscribe button at the bottom of my blog site. Namaste, amigos!